Join our live webinar to learn about the scope of the ISO 22000 scheme and recent updates made to the standard. The ISO 22000 Food Safety Management Systems Standard was published in June 2018. This standard features many changes and updates, not least to align with other management system standards. This alignment helps to make integration of the standard with other existing management systems more straightforward, as numerous concepts are the same. The standard has also been updated to ensure it better serves the food supply chain. It now references the ISO/TS22002 suite or pre-requisite programs, as well as including a greater alignment with Codex HACCP. 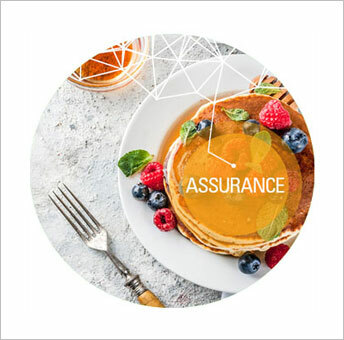 This webinar is aimed at anyone in the food supply chain who is interested in ISO 22000 certification and clients currently certified against ISO 22000. Can't make a live session? Register now and receive a complimentary recording after the live event.